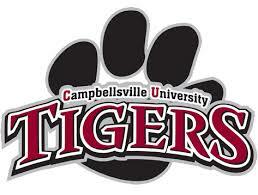 Campbellsville University's main campus is situated in the heartland region of Kentucky offering 63 programs of study at the undergraduate level, 17 masters degrees, five postgraduate areas and eight pre-professional programs. Our 95-acre main campus is one-half mile from downtown Campbellsville, the county seat of Taylor County, population 23,000. Another portion of our campus, Clay Hill Memorial Forest, is located just seven miles from campus. It is a 262-acre educational and research woodland that is being developed by our Division of Natural Science as a regional center for environmental education and research. Our campus is ideally located amid peaceful Kentucky countryside, yet is just one and one-half hours from Louisville and Lexington, and two and one-half hours from Nashville. Beautiful Green River Lake, a 10,000-acre recreational state park, is just five miles from campus. Over 90% of our students receive financial aid in the form of academic scholarships, grants, loans, and student employment opportunities. In addition to traditional financial aid offerings, the University offers assistance programs that are church-related and endowed scholarships. Performance grants are tailored toward students pursuing studies or participating in art, drama, journalism, music and athletics.